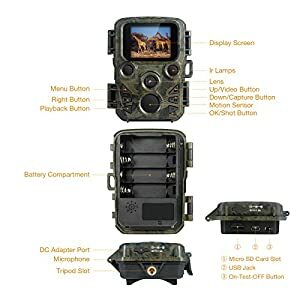 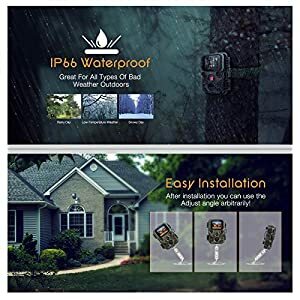 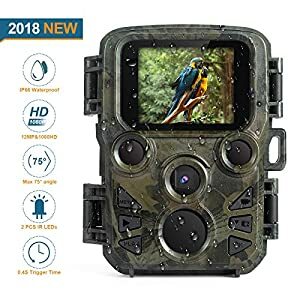 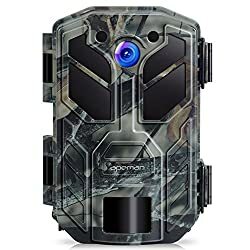 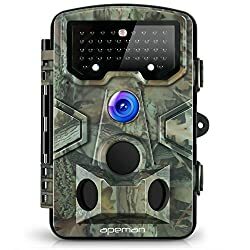 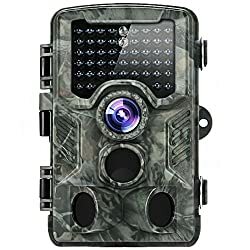 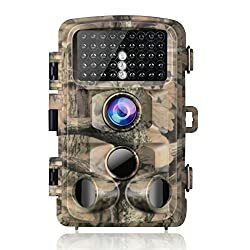 FLAGPOWER Mini Trail Camera, IP66 Waterproof Design for Wildlife Hunting and Home Security, including 0.4-0.45s super fast trigger times, zero second delay between triggers, 75 degree Wide Angle Lens. It takes clear images(up to 12MP) and 1080P video clips with sound and 3 pictures shot each time you can never miss any unforgettable moments. 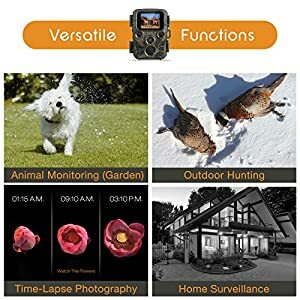 This camera is compact in size and light in weight, not just widely used for out of doors scouting games and wildlife statement, but also popular in home and office security. There is similar color with nature, lovely design ,low glow long-range infrared technology. 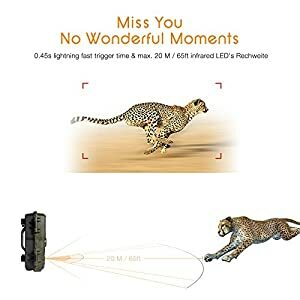 Does not scare away targets close to the camera. 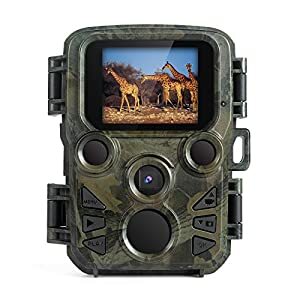 [INFRARED NIGHT VISION] Equipped with 2 pcs infrared high power IR LEDs, and 850NM with very low glow red flash, takes great night vision images, thus steer clear of producing such bright flash which scare animals away when taking pictures. 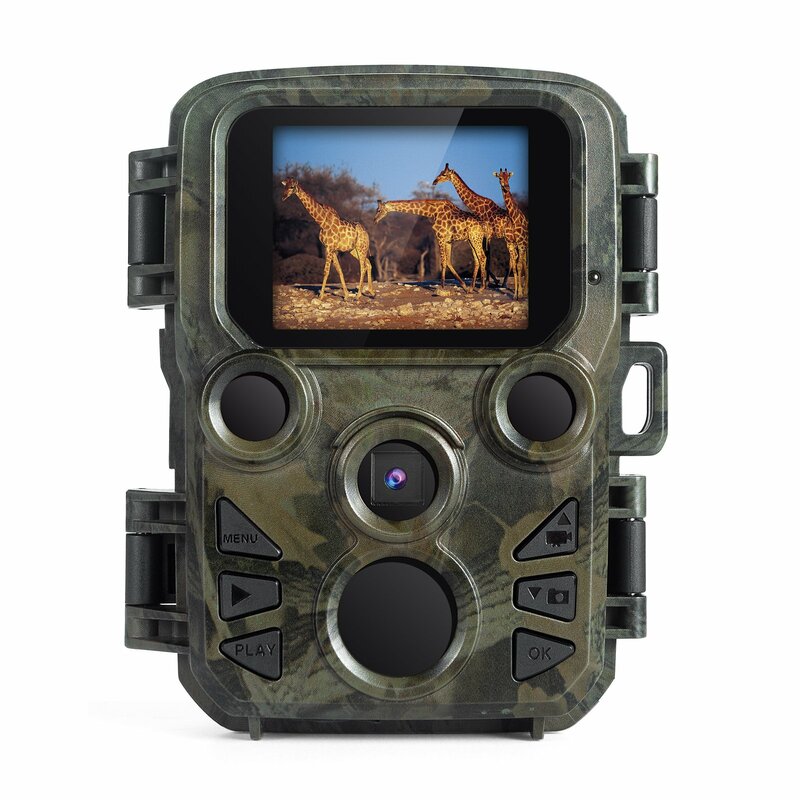 .Ideal camera for out of doors wildlife surveillance and home Security. 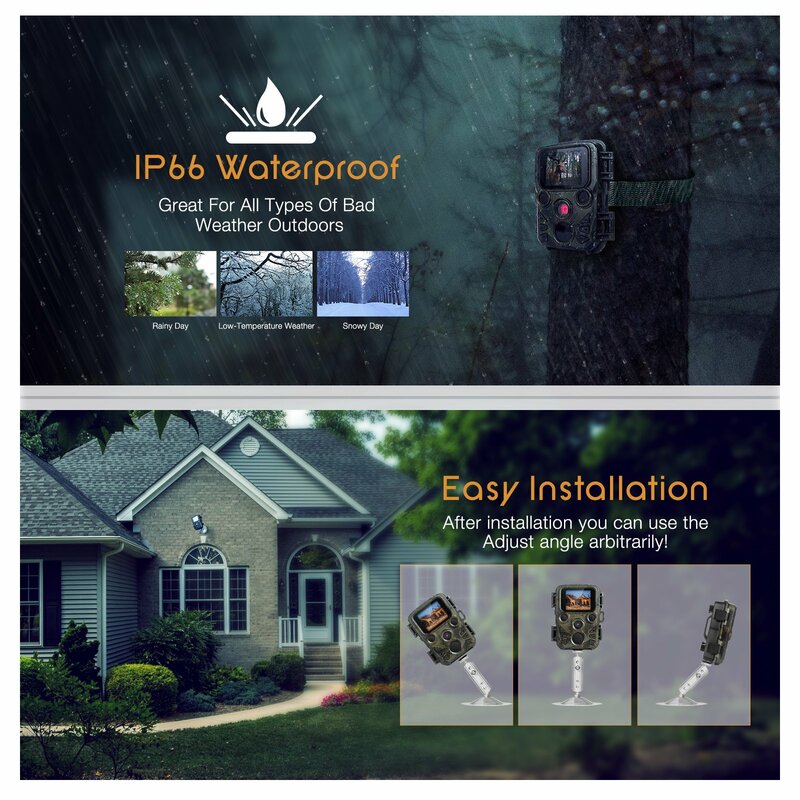 [Warranty and Service] We promise our customers 12 months warranty. When you have any questions or problems, please feel free to contact us.